PPE Provision usually falls to the responsibility of the employer who has a duty of care to ensure you are safe at work. Those of you that are self-employed are however usually responsible for supplying your own PPE Equipment. When protecting yourself from hazards the first point of call should always be to reduce the risk at the source, an example would be blade guards. However, it is not always possible to completely control the risk at the source, which is where PPE comes into play. In the stone fabrication industry, there are unfortunately lots of hazards you should be aware of so that you can take the appropriate action to protect yourself and your team. 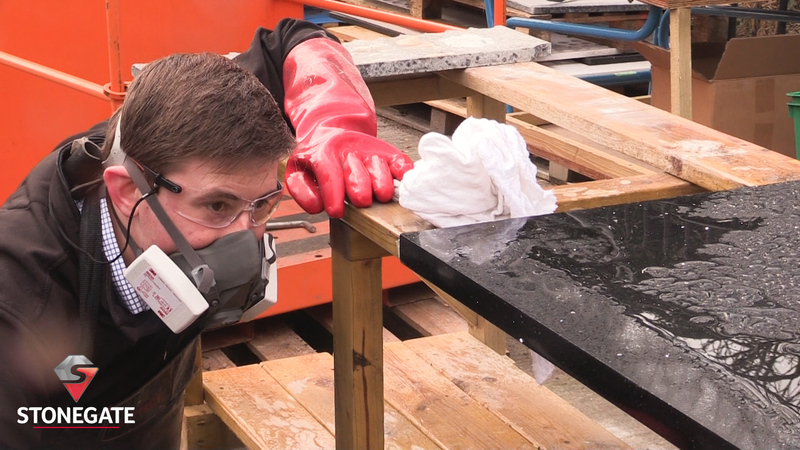 With a recent rise in reports of silicosis among stone fabricators and the Australian government’s recent move to ban the dry cutting of quartz, it has never been more prominent to protect workers from the dangers of stone dust. Protecting at the source would be a move to wet cutting, which will convert the dust into a slurry and ensure there is less in the air. If this is something you are interested in moving into, check out our range of wet stone cutting and polishing tools. However, if this is not possible you will need to ensure to kit your workers out with quality dust masks to ensure they do not inhale any harmful dust. Prolonged exposure to stone dust can lead to silicosis, which can be fatal. 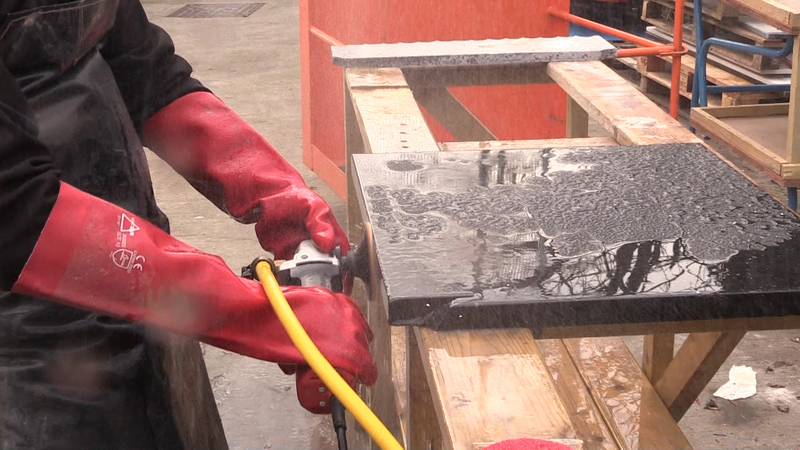 Check out our blog for more information on the dangers of stone dust. When you think about potential hazards when cutting stone, this one is probably the one that springs to mind first. Thanks to new technology the blades on the market today will cut through stone with immense power and precision. However, if you get caught by any of these blades in full flow the cut will be very serious. Controlling this hazard at the source is easily done thanks to blade guards on saws safety procedures. CNC bridge saws will not begin cutting unless the door is shut, which allows for maximum protection for its workers. Sharp edges and sharp tooling can also cause cuts to workers so it is important to always use safety gloves during this process. Incorrect tooling, poor set up or user error can cause objects to break away and fly off at high-speed during the cutting process – which can cause some serious harm. The correct tooling, set up and trained staff will help to control this hazard at the source. 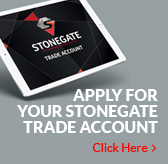 Remember that the Stonegate Team are highly trained in advising on the right tool for the right job as well as aiding you with any setup advice you need too. However, human error is something you can’t account for so it is always advisable to kit stone workers out with gloves, helmets and eye protection to ensure their safety. As I am sure you are aware it can get very noisy in the factory, with numerous machines running all day and at the same time. If your daily/weekly exposure to noise reaches an average of 85 decibels or above then the HSE states employers should be providing hearing protection, such as ear defenders, to its employees under The Control of Noise at Work Regulations 2005. If the noise levels reach 80 decibels, employers are not also required to assess the risk and provide workers with information and training regarding noise at work. Prolonged exposure to loud noise at work can lead to conditions such as tinnitus and hearing loss. Granite and quartz countertops on average weigh approximately 20 – 25 pounds per square foot. When you are dealing with large countertops it is important to use the correct lifting and handling equipment to protect the backs of your workers. Once you have suffered an injury to your back, it is difficult to make a full recovery. 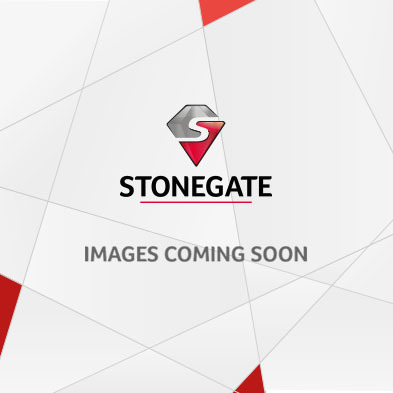 At Stonegate, we have a variety of lifting and handling equipment to ensure you are lifting stone safely. Not only for the protection of your workers but the stone too, with some stone slabs costing upwards of £1000 – you would want to drop one! 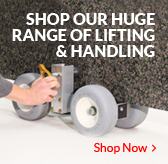 Stone lifting and handling equipment will control the risk of injury but it is also important to supply gloves to protect your worker's hands while moving the slabs about on this equipment and give them a better grip. Steel toe caps boots are also advised when transporting heavy objects if the worst happens and you do drop a slab, you are going to want some strong protection for your feet! If you are working with strong stone cleaners and sealers you will most likely be adhering to COSHH under HSE Regulations. However, supplying your workers with the right safety gloves and in some cases, masks are important to protect themselves from exposure to these substances. 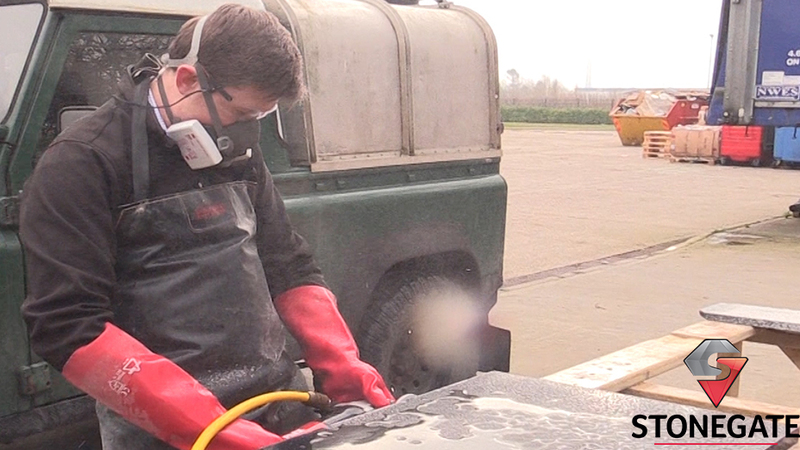 When working with wet cutting and polishing tools it is important to provide the right waterproof clothing to protect your workers from the wet slurry. In the winter, workshops can often get cold due to the ventilation required to keep you safe. Warm and waterproof clothing is a must to ensure workers are protected from not only wet slurry but also from contracting hyperthermia from prolonged exposure to the wet and cold. HSE advises that any lower than 13 degrees Celsius for a physical job should warrant the employer to consider providing reasonable comfort to its employees. We have recently stocked up on Thermal Waterproof Safety Gloves to keep your team comfortable. All that wet slurry and water in the workshop could leave workers at risk for slips in the workplace. Ensure the correct safety footwear is provided and that measures are taken to reduce the amount of water on the floor, such as adequate drainage. This one will sadly not be solved by PPE but with high-quality and effective tools and equipment. If your workers are a frequent user of hand power tools then they are at risk of contracting HAVS (Hand Arm Vibration Syndrome). Failing to reduce the risk could lead to fines of up to £400,000. What happens if I don’t have the right PPE? If you are an employee you need to speak to your employer regarding purchasing the correct stoneworker PPE to keep you safe at work. 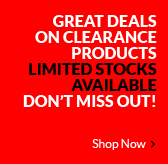 At Stonegate, you can order online or speak to one of our sales assistants who will be happy to advise on the subject. If you are an employer and you are failing to protect your employees then not only are you risking your employee's health and in some cases life, you are also risking prosecution from the HSE – which often comes with a hefty fine!